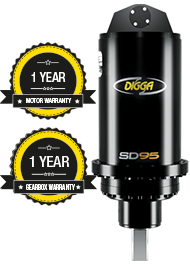 Digga's range of drilling drives for 15-30t excavators are the ultimate in performance, quality and cost effectiveness. 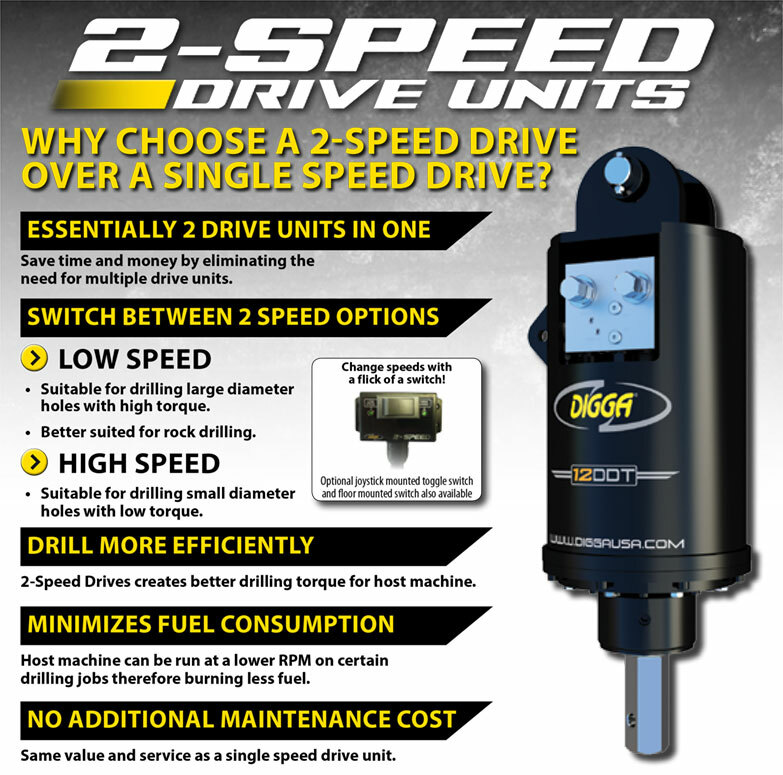 Over 30 years of design and development has produced the highest quality range of auger drives on the market today. Completely manufactured and assembled by Digga, using only the highest grade materials and strictest quality control. Fitted with a radial piston motor, an integrated pressure relief valve and input housing. The innovative design allows the gearbox to go down the hole to maximize drilling depth without extensions. Max auger diameter (earth)* 79" 79" 79"
Overall length (in) 50.9" 50.9" 50.9"
Diameter (in) 23.6" 23.6" 23.6"